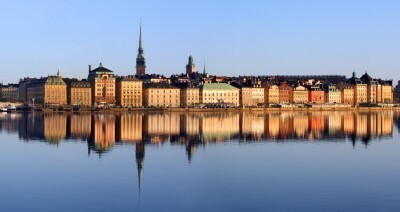 In 2008 the Swedish county council of Stockholm decided to implement TakeCare throughout the entire county. The installation in Stockholm is one of the largest e-health installations globally. Every day it is used by 16000 concurrent users, and handles a database of more than 2.7 million patient records. The system is today fully operational among 90% of the care giving units representing 37000 active users. The largest unit is Karolinska University Hospital. The implementations will be finalized in 2012. The Swedish county of Dalarna will implement TakeCare on a county-wide scale for its 7 000 users. The system will be fully implemented in 2013. Yearly savings: Stockholm County (SLSO) – with 6 million outpatient consultations and nearly 600 000 care days in hospital operations – has in less than three years introduced TakeCare as a common medical record – instead of twelve independent ones. This has increased patient safety and quality of care and helped save a total of SEK 50 million (EUR 5,6 mil.) every year. Waiting time: With TakeCare in Stockholm the waiting time for doctors in the emergency department has decreased with approximately an hour over a period of two years. The proportion of patients handled within four hours has increased from 60% to nearly 80% measured over a 24-hour period. At the same time health professionals say that they are less stressed, and surveys show that patient satisfaction has increased. X-ray: The x-ray flow can be improved with support functions and information from TakeCare. The department of Radiology in Karolinska University Hospital Huddinge, Sweden has started working on a workflow that will improve the flow of emergency radiology. The goal is to shorten the time from first doctor assessment to x-ray response from an average of 2 hours and 20 minutes to 1 hour and 40 minutes.